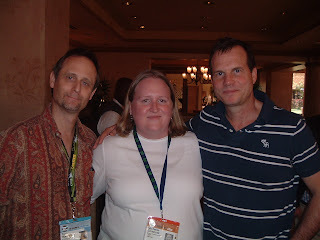 My recent trip to this year's SXSW Film Festival had many highlights, but one of the biggest ones was to meet up with Tom Huckabee (always a good friend to our festival) who then introduced me to his good friend Bill Paxton. Hopefully, one day, his schedule will allow him to join us for a festival. But in the meantime...I'll be thinking of this day when I watch Season 2 of Big Love on HBO this summer.